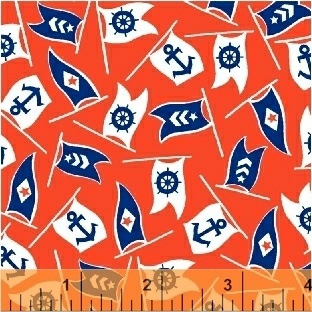 Set sail with this 1930�s inspired collection of bright, nautical themed prints by MYKT. Playful children, anchors and small sailboats lend themselves perfectly to a novelty children�s quilt or a d�cor in a lakeside cottage. This maritime collection is perfect for sea lovers stuck on land! 20 Skus. Delivery to stores April 2017.